Bryan Magee (born 12 April 1930) is a British politician, broadcaster and author whose works are intended to make philosophy accessible to a larger audience. As Voltaire once remarked, "It is the privilege of the real genius, especially one who opens up a new path, to make great mistakes with impunity." The Copernican revolution brought about by Kant was, I think, the most important single turning point in the history of philosophy. For that reason there has been, ever since, a watershed in understanding between those who have taken his work on board and those who have not. For a good many of the problems he uncovered, the solutions he put forward have not stood the test of time, but his uncovering of the problems remains the most illuminating thing a philosopher has ever done. 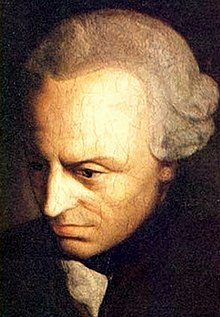 Because of the fundamental character of these problems, and because Kant did not solve them, confronting them has been the most important challenge to philosophy ever since. Some of my readers may find themselves thinking that the mere fact that millions of human beings, including many highly intelligent and deeply thoughtful ones, have had strongly held religious beliefs is itself a reason for giving them serious intellectual attention — not necessarily for believing them, of course, but for finding them interesting and for treating them with respect. I would agree with this if the reasons given for them commanded respect. But I have yet to encounter such reasons. What are claimed as proofs are not proofs, and all such "proofs" have long since been discredited, the most important of them by Christians themselves, such as Kant. 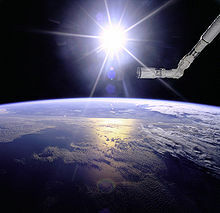 Yet they go on being trotted out: assertions are made without evidence; mutually contradictory claims proliferate; historical knowledge is defied; mistranslations abound; language is used in a way that slithers unacknowledged between literal meaning and metaphor; the whole vocabulary rests on unsecured presuppositions. Superstitions and belief in magic are perennial in just the same way as religion, and something near to being universal among mankind; and why this is so may be interesting, but in most cases the beliefs themselves are devoid of interesting content, at least to me. Speaking for myself, I am not one of those people who are able to deal with the problem by ignoring the questions: it may be a matter of temperament, but for me the apparent unanswerability of the questions sharpens the persistence with which they nag at my mind. Scarcely a day has gone by since my childhood in which I have not thought of them. In fact, the truth is that I have lived my life in thrall to them. They seem to me obviously the most important and interesting questions there are, and in my heart of hearts I do not really understand why not everybody sees them as such. And yet at the end of it all I have no solutions. I am as baffled now by the larger metaphysical questions of my existence as I was when I was a child — indeed more so, because my understanding of the depths and difficulties of the questions themselves is now so much greater. It could be that the total scenario for human beings is an insoluble mystery until we die, followed by nothing at all.